Leicester City have blocked Ahmed Musa’s loan return to top Russian club CSKA Moscow as the Foxes are only interested in a permanent deal. 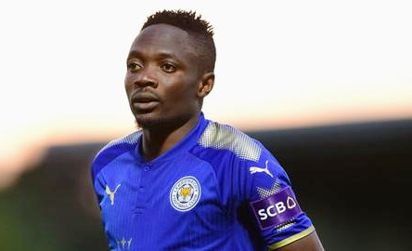 Ahmed Musa, 25, has failed to establish himself with ‘The Foxes’ since his big-money move from CSKA in 2016. He has scored five goals in a total of 33 appearances for the English club and has since been demoted to the team’s U21s. A top source told only SCORENigeria: “A decision will have to be taken by this weekend on Ahmed‘s future. “The player and his representatives will want him to stay put in England even though there have been some serious offers from outside England. Ahmed Musa enjoyed an eventual time at Russian army club CSKA between 2012 and 2016 during which time he won three championships, the cup and two Super Cups. Super Eagles coach Gernot Rohr has said the forward’s chances of making the final cut for the World Cup in Russia will be remarkably improved were he to be playing first-team football regularly. The post Leicester block loan deal for Musa appeared first on Vanguard News.